Mahindra and Mahindra has already confirmed that the launch of the eKUV100 will take place this year. And now we have learnt that the Mahindra eKUV100 could be reaching the company dealerships closer to the festive season this year. The Mahindra eKUV100 will join the Mahindra electric portfolio consisting of the e2O Plus and the eVerito. The eKUV100 will have no rivals and will be the only all-electric compact SUV in its segment in India. The eKUV100 was first showcased at the 2018 Auto Expo. 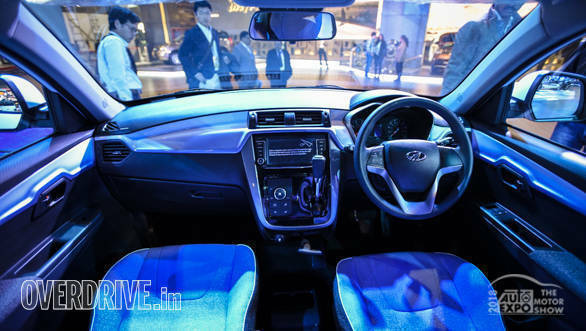 While the design bit looks nearly identical to the regular version except for an update in the headlight design with projectors and also the EV badging at the side and the rear, the cabin too retains the overall layout and features list. The Mahindra eKUV100 will come equipped with the latest connectivity options along with smartphone app enabled AC operation as well as location tracking, to assist in case of an emergency. The Mahindra eKUV100 that was showcased at the auto show was powered by a 72V battery pack unit that is made of Li-ion batteries, identical to the system used in the eVerito. This powertrain boasts a range of over 140km, and optional fast charging which can extend its range by 80 per cent in less than an hour. 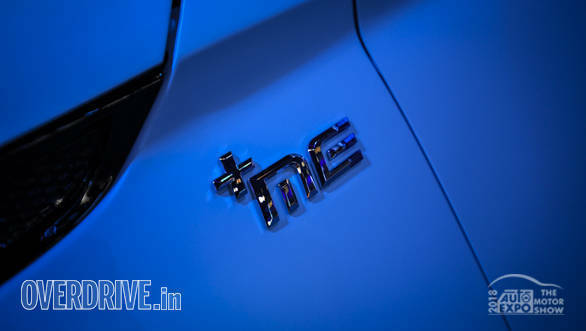 If Mahindra retains the same motor making it convenient to share it with the sedan or could offer an updated version of this motor with higher power rating and improved driving range is something that needs to be seen. 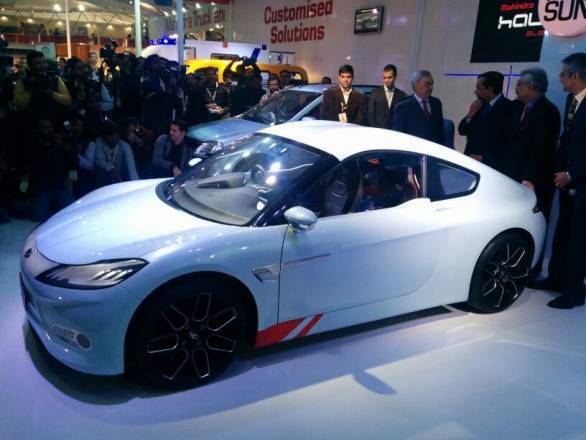 Mahindra has pretty much been at the forefront with its various electric only initiatives ? be it acquiring majority stake in the erstwhile Reva Electric Car Company and developing the e2o and e2o Plus or becoming the first and only Indian manufacturer to compete in Formula E. The company had showcased its first ever all-electric sportscar, the Halo at the 2014 Auto Expo in New Delhi, which had elicited a huge response. Back then Mahindra had claimed the Halo will clock the 0-100kmph dash in under 8 seconds, apart from boasting a 160kmph top speed and a 200km range. 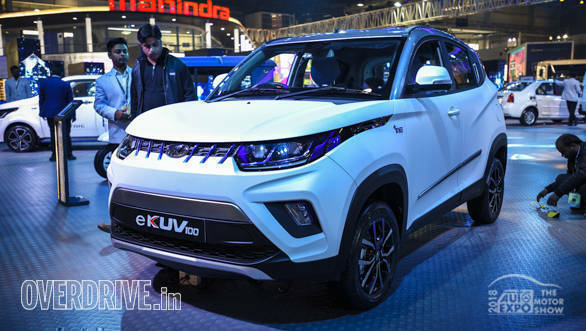 Post the launch of the eKUV100, Mahindra will follow it with the electric version of the XUV300. 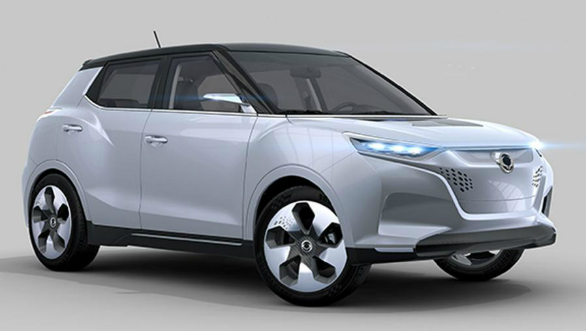 There are no details on the exact specifications of this car are but Ssangyong showcased an electric concept of the Tivoli SUV in Geneva last year. The XUV300 is a close relative of this car so similar specs can be expected. The EV version of the Tivoli is powered by a 129PS electric motor. A single cylinder petrol range extender is also offered which increases range from 128km to 500km. The concept has a top speed of 150kmph.